The Tualatin Employment Shuttle is a FREE commuter service for employees traveling between TriMet’s WES station and local employers in Tualatin. The service is comfortable, safe, and easy to use. Shuttle drivers are friendly, knowledgeable, and experienced. 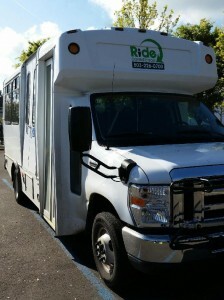 The shuttles are ADA compliant and have capacity for 2 bicycles on each vehicle to meet your transportation needs. For route information, please visit Ride Connection’s website. The Tualatin Employment Shuttle has been in operation since 1997. 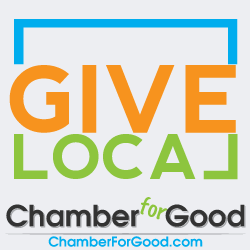 Established and operated by the Chamber of Commerce for 17 years, a new partnership was formed in October 2014 with Ride Connection. 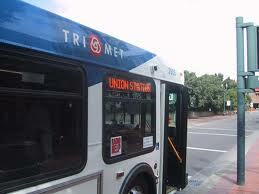 Tualatin is served by Tri-Met lines 36, 37, 38, 76, 96 and 97. Their information line is 503-238-RIDE (7433) and the number is staffed 7 days a week, from 7:30 a.m. to 5:30 p.m. There are special senior and disabled services available. 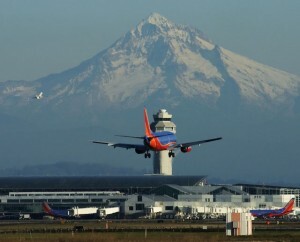 Call 503-238-4952 or TDD 503-238-5811 between 7:30 a.m. and 5:30 p.m. weekdays. Park and Ride Lots are located at the NE corner of SW Sagert and SW Martinazzi Ave and the corner of SW Lower Boones Ferry and SW 72nd Ave.
Tualatin is also served by public transport with light rail linking it with Beaverton and Portland. The WES commuter rail links Tualatin to the Tri-Met system, weekday mornings and afternoons.